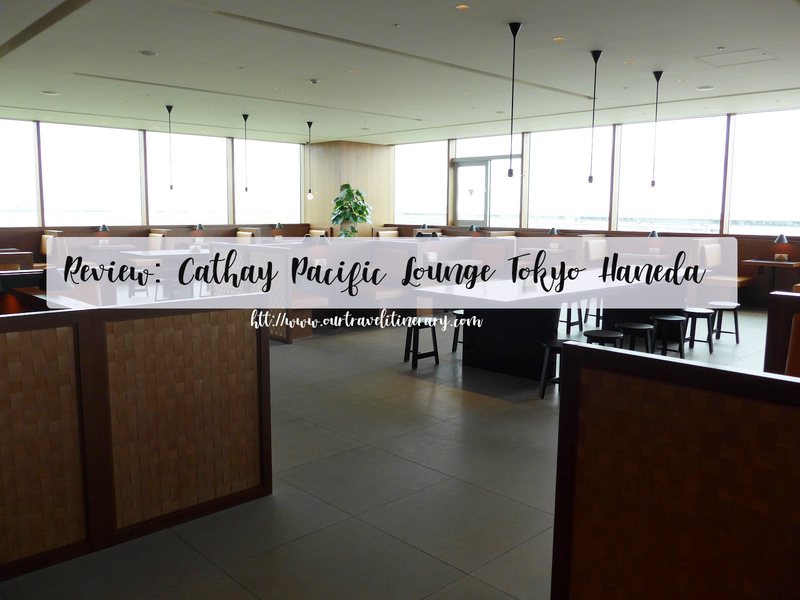 During my trip to Seoul, I had the opportunity to visit Cathay Pacific Lounge Haneda while waiting for my connecting flight from Tokyo Haneda Airport (HND) to Seoul Gimpo Airport (GMP) on JAL. Tokyo Haneda airport has many lounge and it is important to know which lounge is catered to which airline. It is also worth noting that the operating hours. I visited JAL Sakura Skyview Lounge Haneda in the morning but it closes at 12:30pm. Thus, I make my way to Cathay Pacific Lounge Haneda. The lounge is located near gate 114 and one of the largest cathay pacific lounge outside of Hong Kong. Upon arrival, I was greeted with smiles. I was surprise to find myself alone in the lounge. Off peak hours? The lounge is huge and have ample of seats. I love the view of runway. I went to food section and was welcome with a buffet area and noodle bar. The food in buffet section is limited. There are cheese, cold cuts, dessert and a few hot food to choose from. To be honest, I’m not surprise by the limited food option. There a few lounge in the airport and Cathay Pacific Lounges was pretty empty that afternoon. The Noodle Bar which is a standard of Cathay Pacific Lounges provides the food for the lounge. You can order the famous Dan Dan Noodles, Wontan Noodles and a few other noodles. There are several other rice dishes which can also be ordered at the counter and collected when the food is ready. There is a dedicated bar area with a mixologist, a coffee machine where you can order you standard caffeine fix and the standard Japanese beer dispenser which is a must try. I ordered the Haneda Jade Cocktail from the dedicated bar and am quite happy with the drink which is refreshing with a bit of sweetness. Despite being huge, there is no shower facilities. I could enjoy a hot shower if there is one. Facilities in the lounge is pretty basic – workstation, washroom, newspaper and magazines. The Cathay Pacific Lounge Haneda is open 7.30am to 5pm daily. As with the JAL Sakura Skyview Lounge, the lounge was largely empty after around 11.30am, in fact the whole Haneda airport seems to be a lot less crowded after the morning flights.